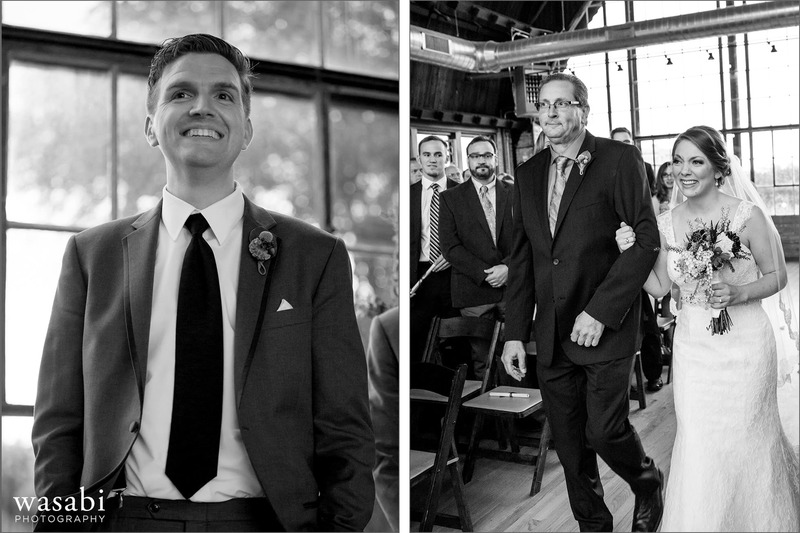 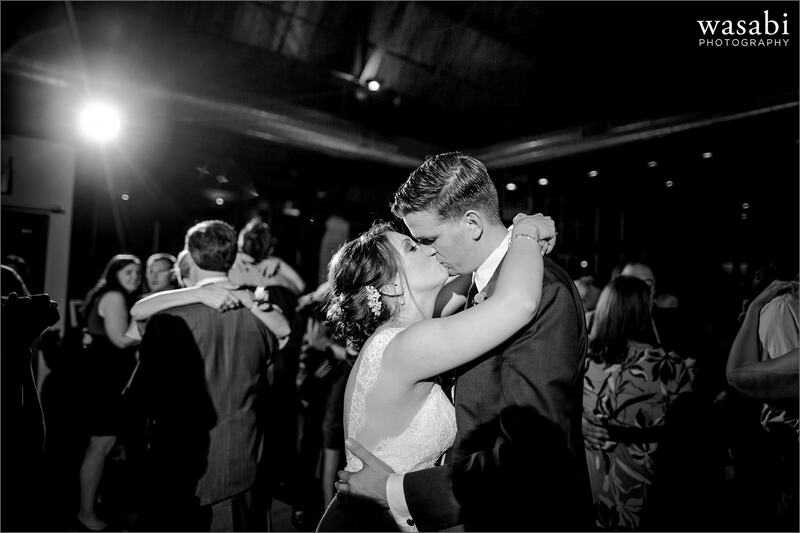 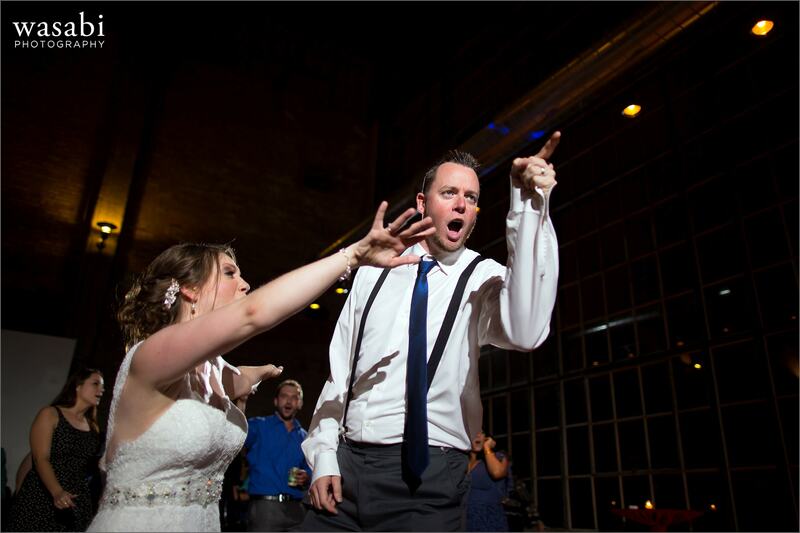 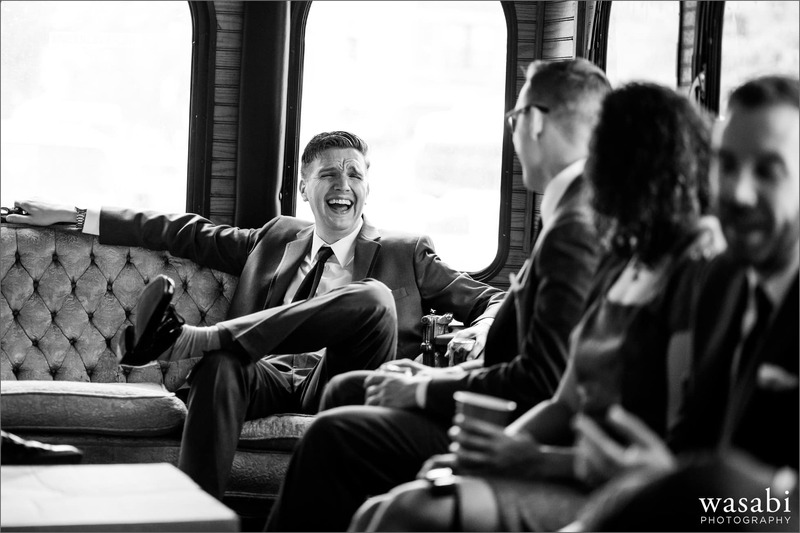 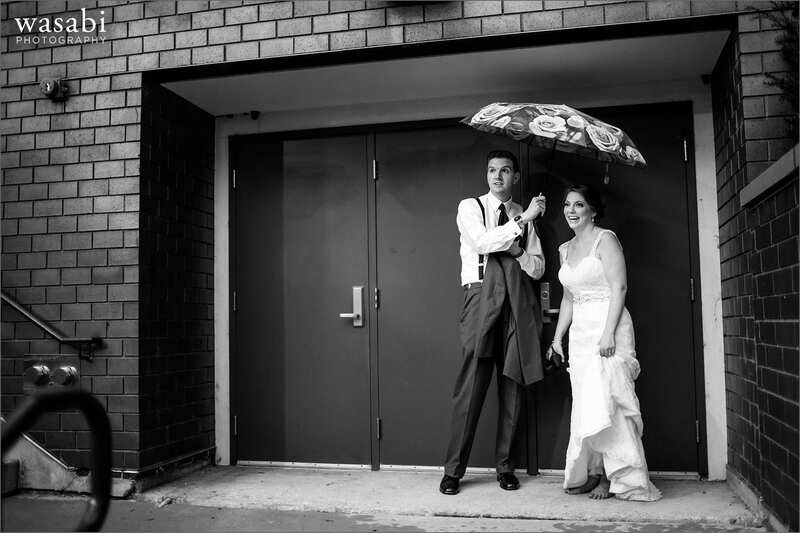 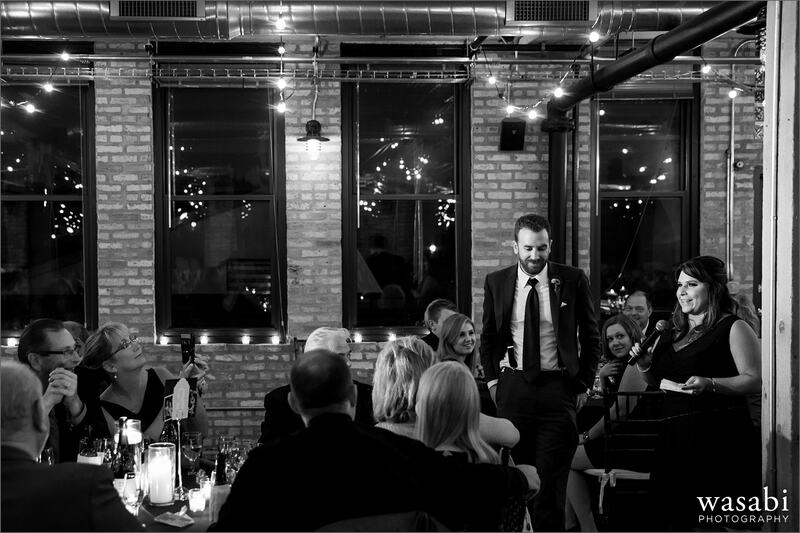 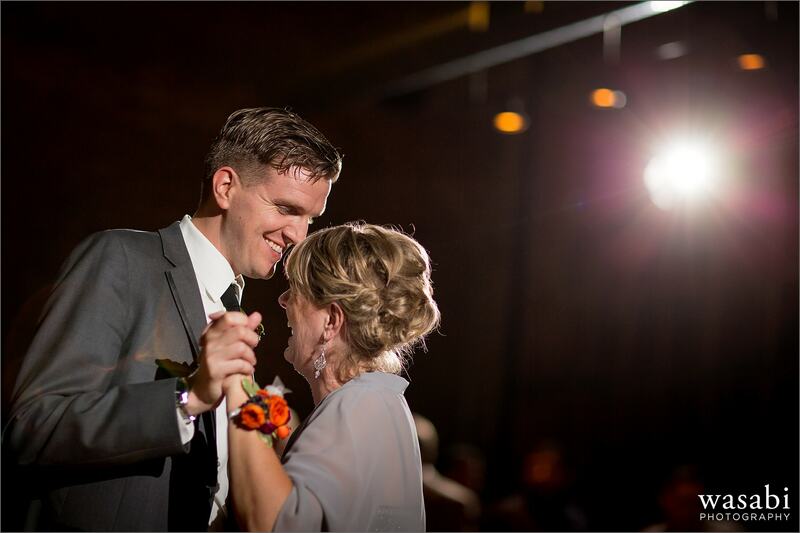 Kelli & Ryan were married at Ravenswood Billboard Factory in Chicago’s North Center neighborhood. 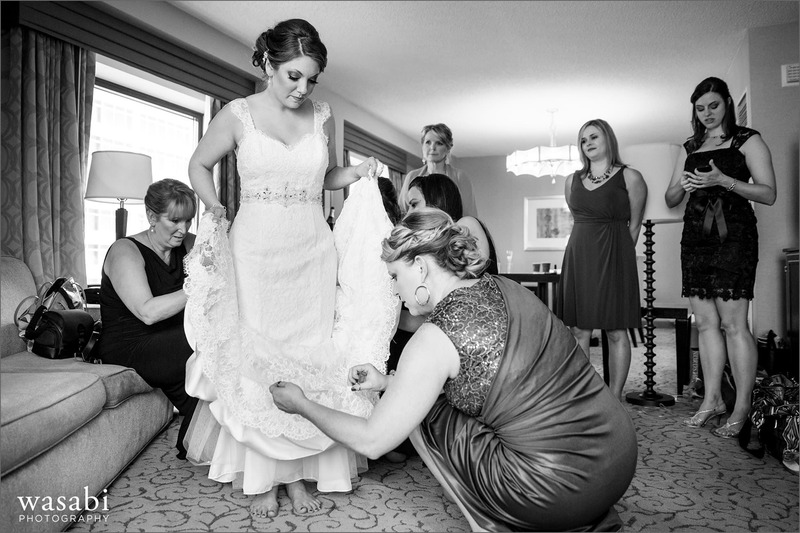 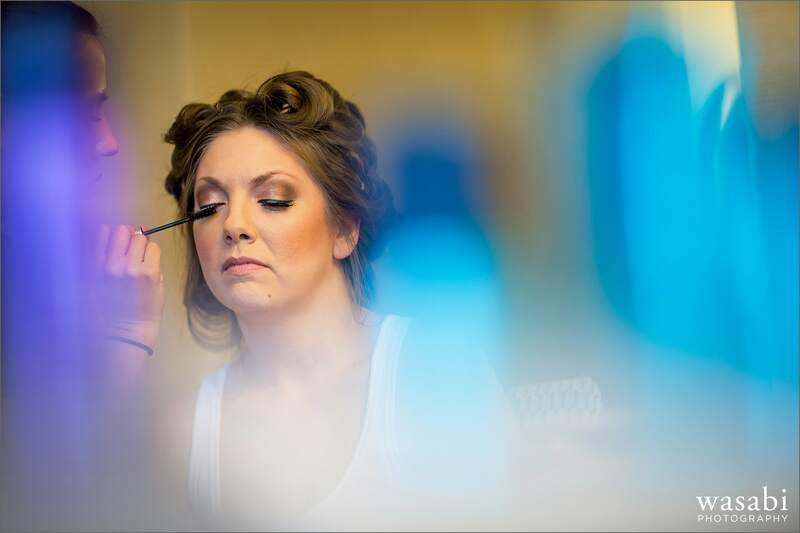 I started the morning with Kelli and the girls while they got ready at Renaissance Hotel downtown. 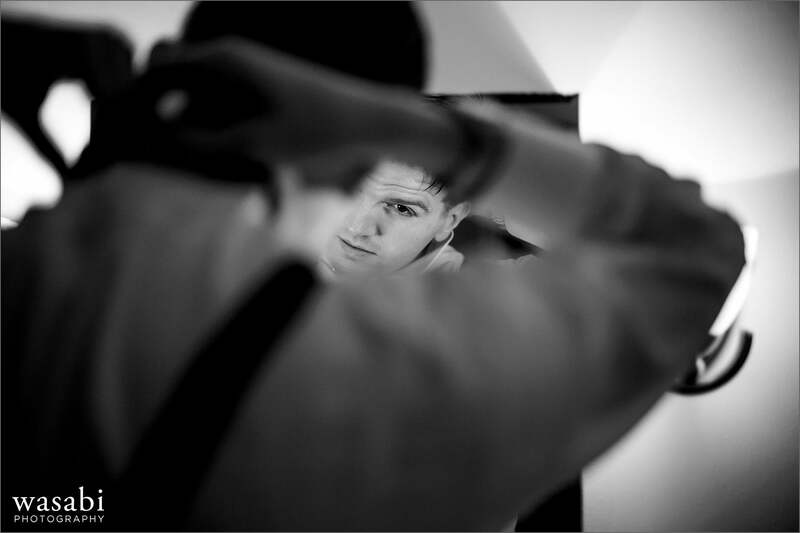 My friend was in town to help me out again and Justin Edmonds was with Ryan while the guys got ready. 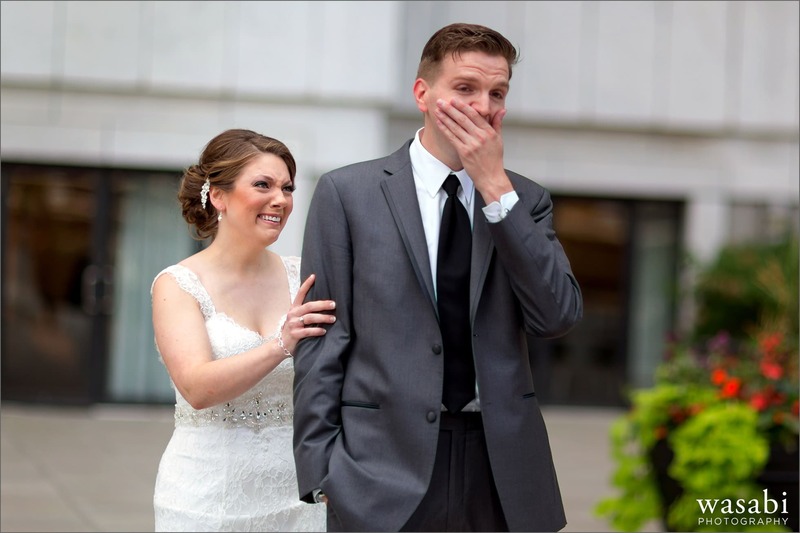 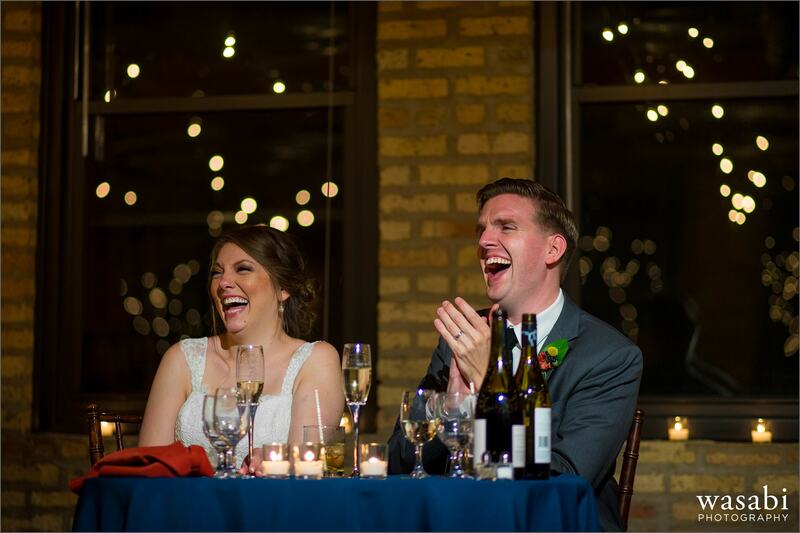 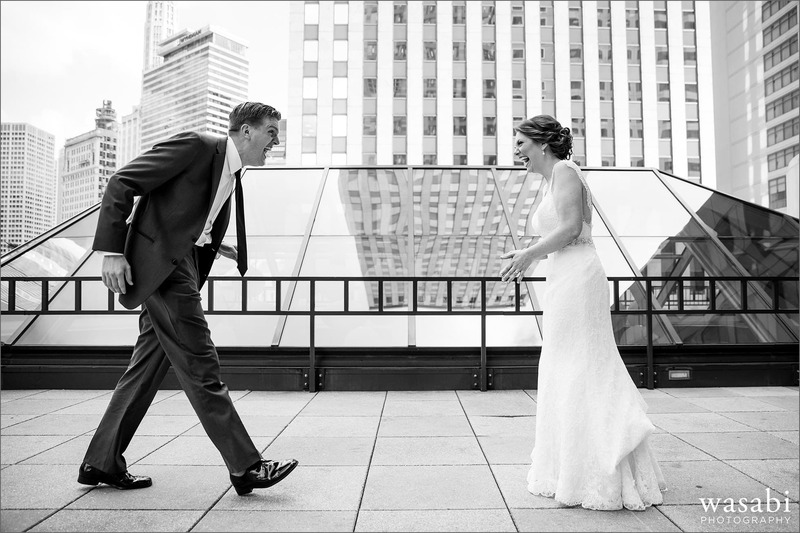 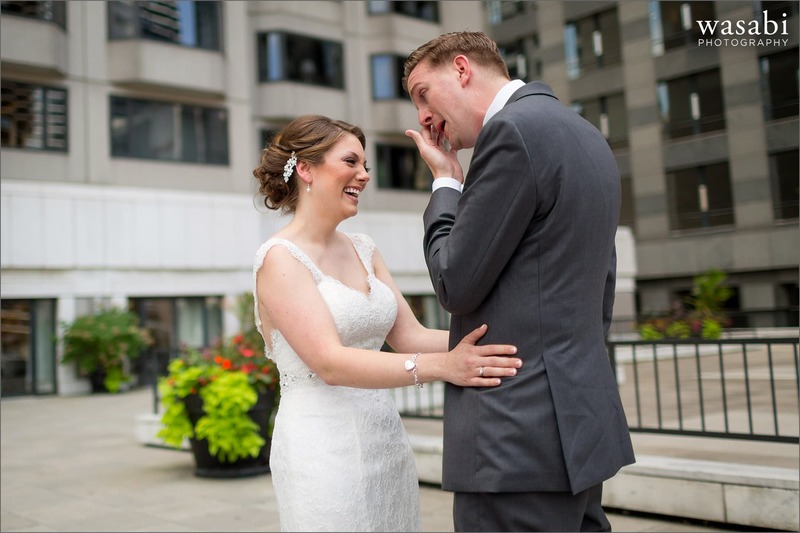 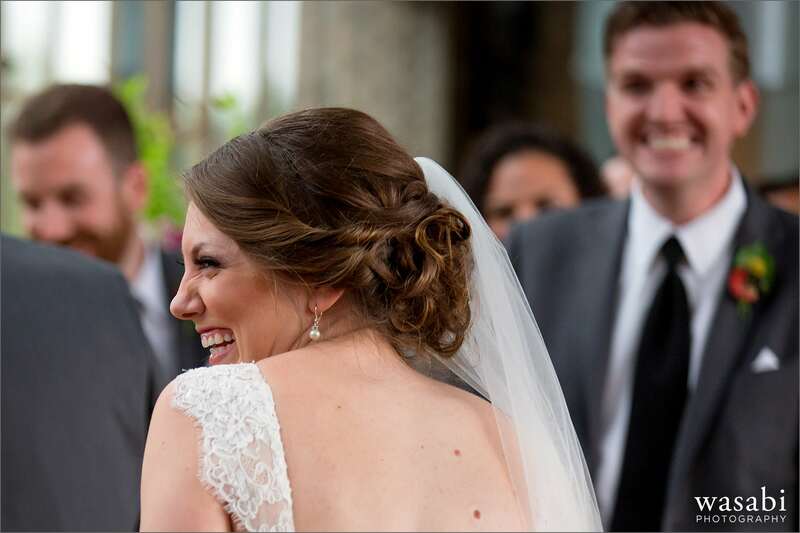 Ryan and Kelli met on hotel’s terrace that overlooked the Chicago river. 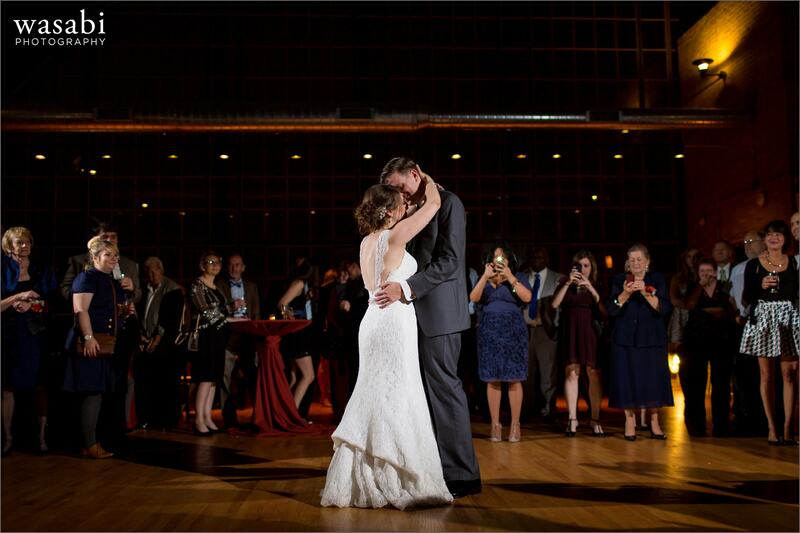 It was one of the most emotional first looks that I’ve seen. 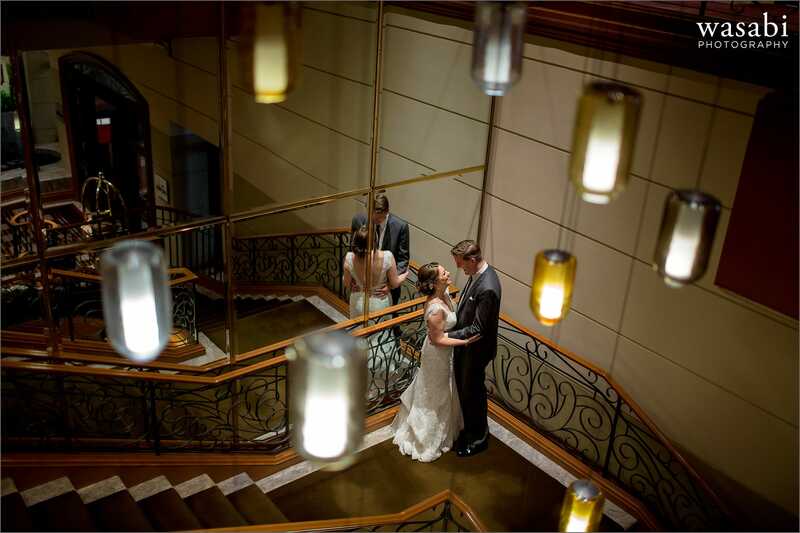 After a few quick portraits on a cool staircase in the hotel, we headed to Lakeshore East Park. 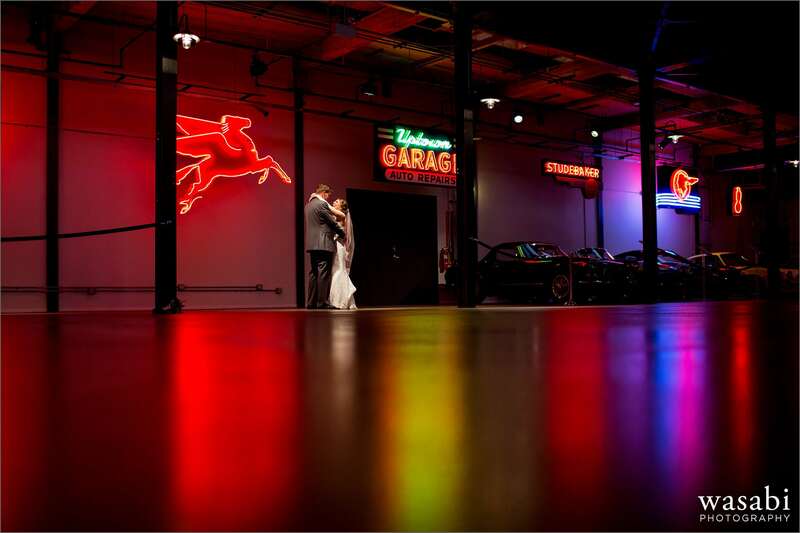 It’s one of my favorite little hidden gems in the city. 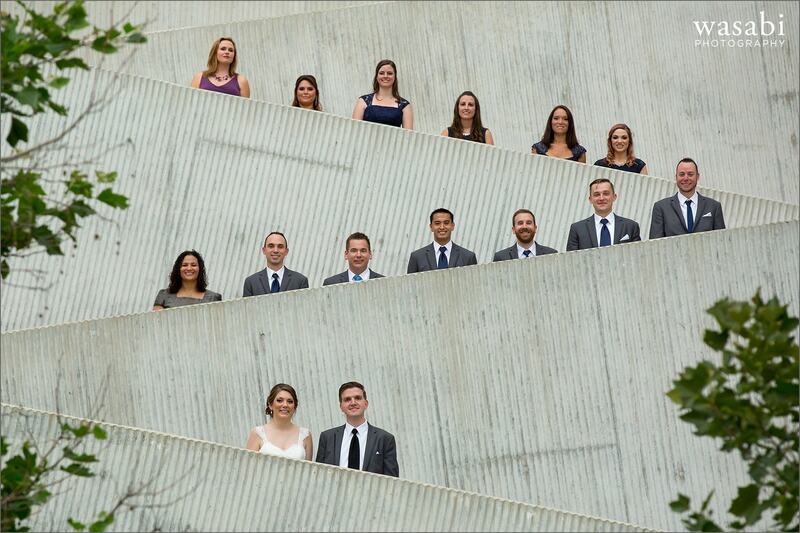 The rain held out just long enough for us to get in all of our group portraits. 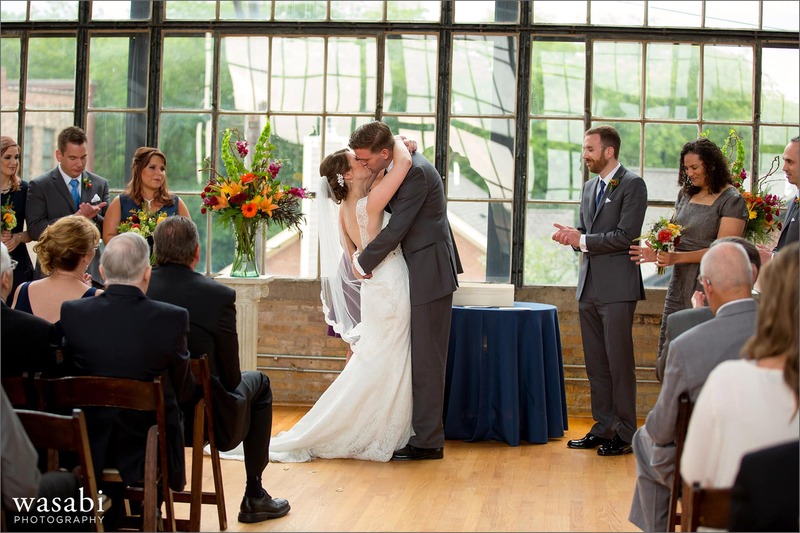 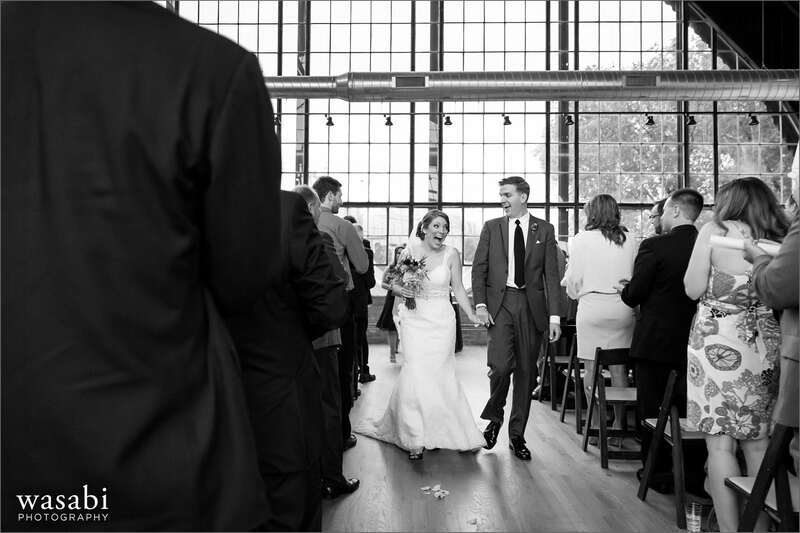 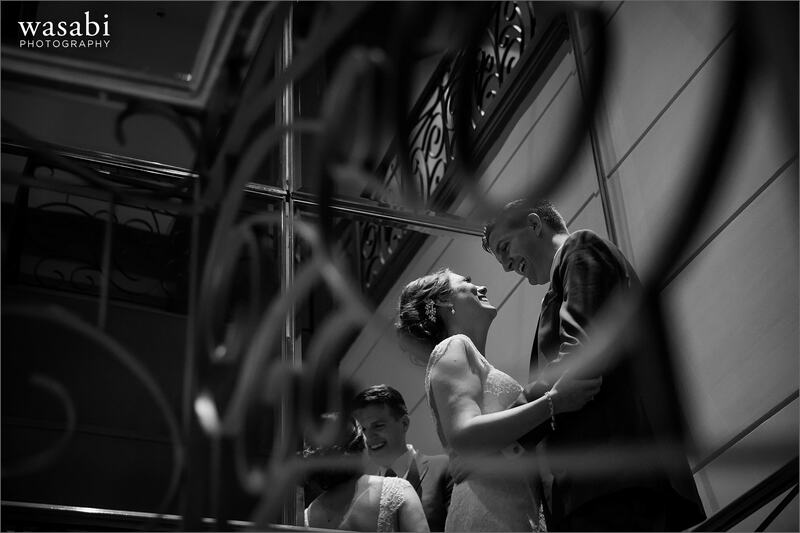 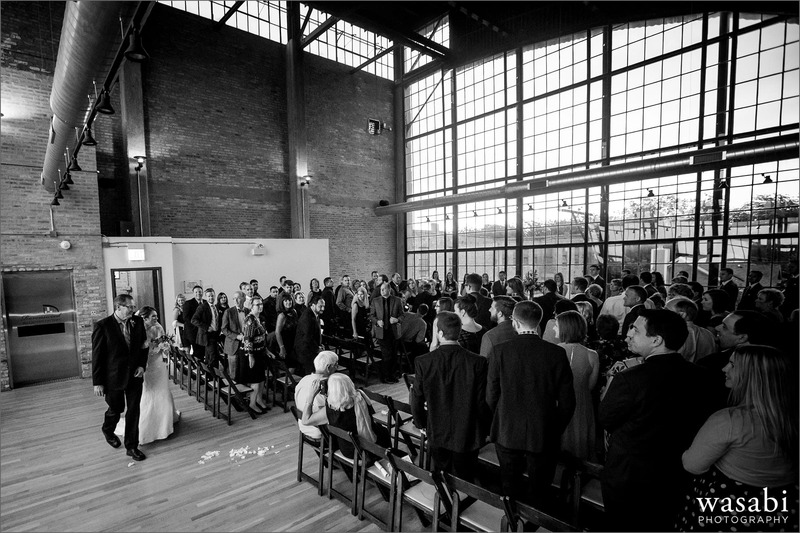 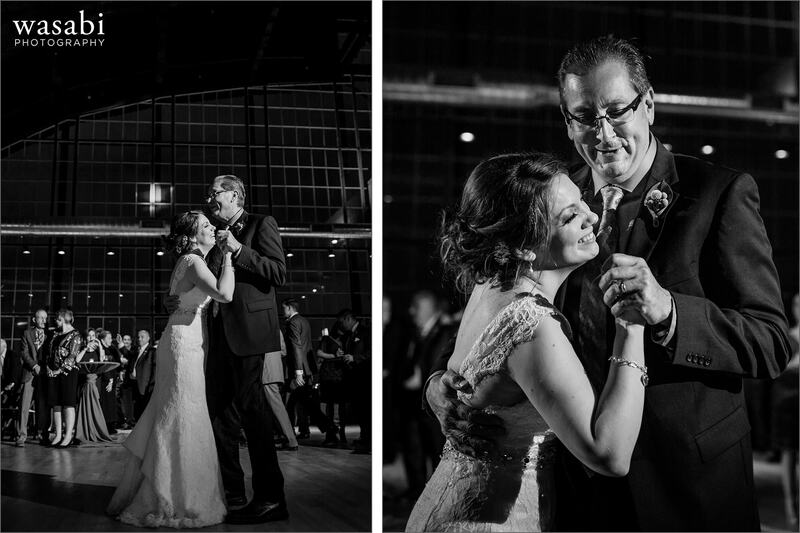 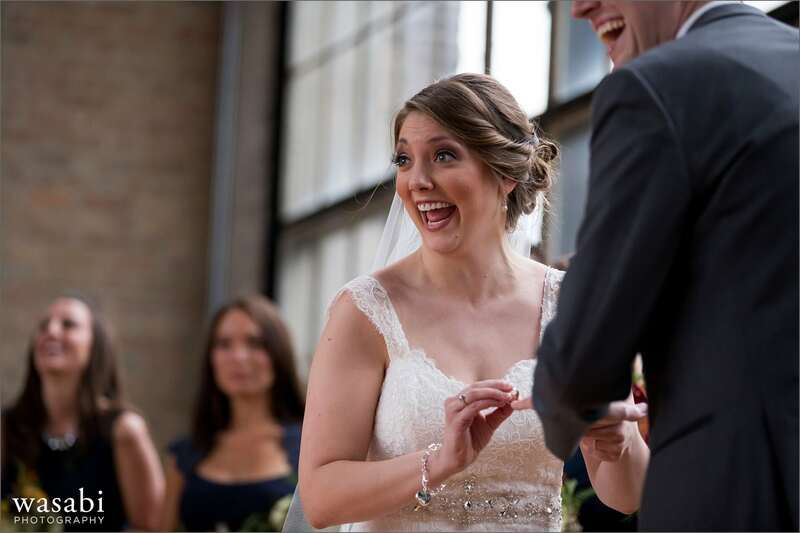 The Billboard Factory’s giant glass window walls are amazing and make it one of my top wedding venues in Chicago. 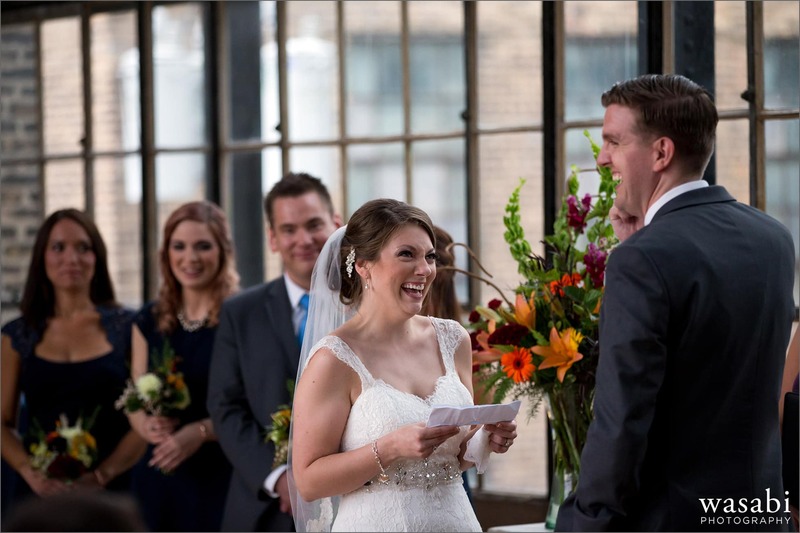 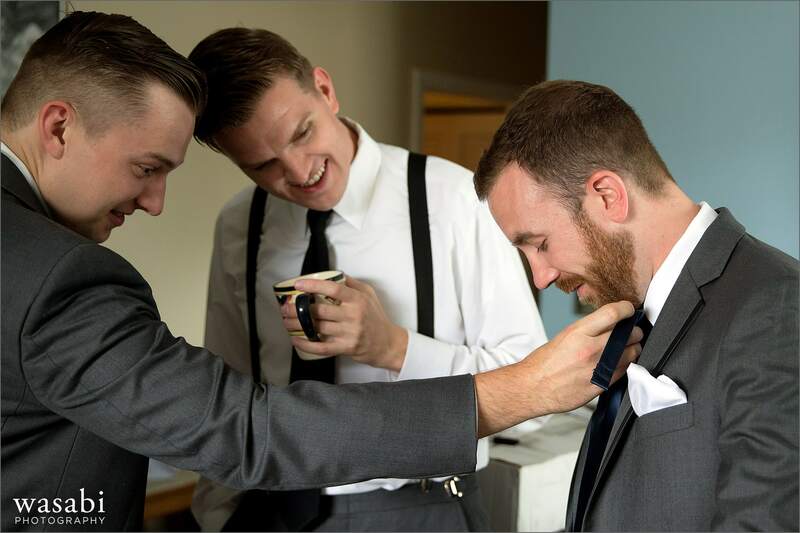 Kelli and Ryan’s ceremony was very sweet and very funny. 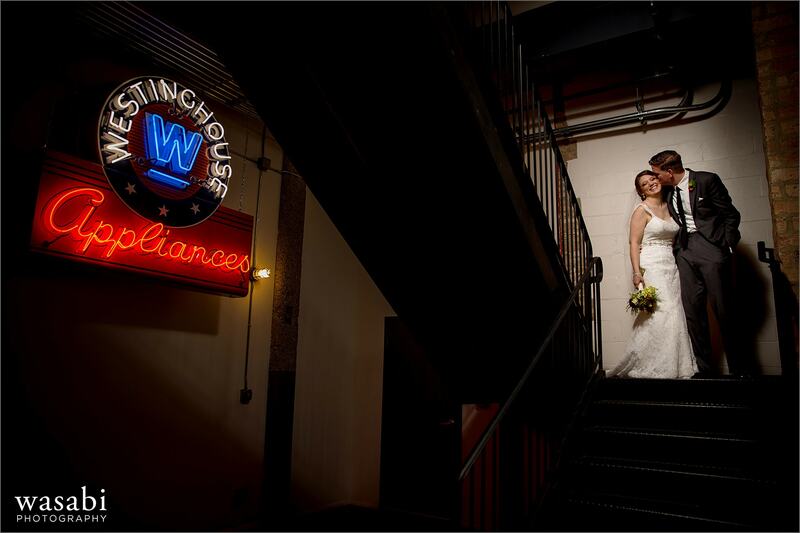 After the ceremony we had time for a few more portraits downstairs with the neon light signs. 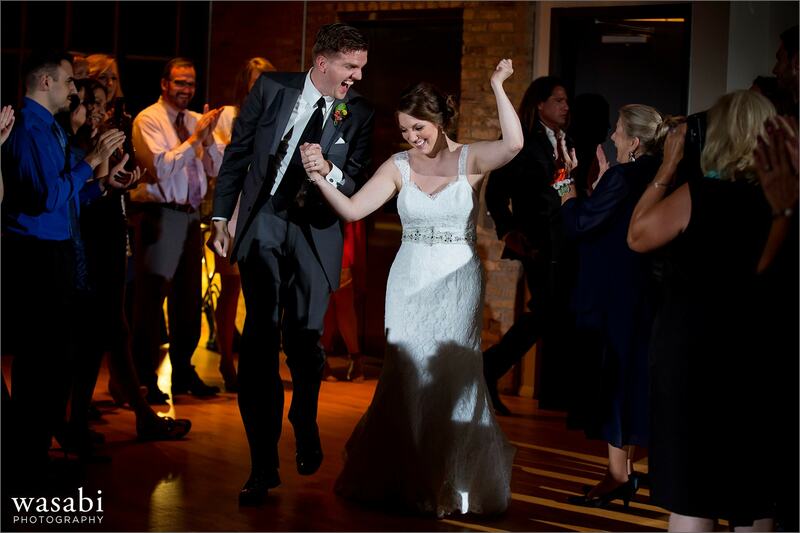 Kelli and Ryan’s entrance into the reception was also pretty great as they ran in through a tunnel of friends and family. 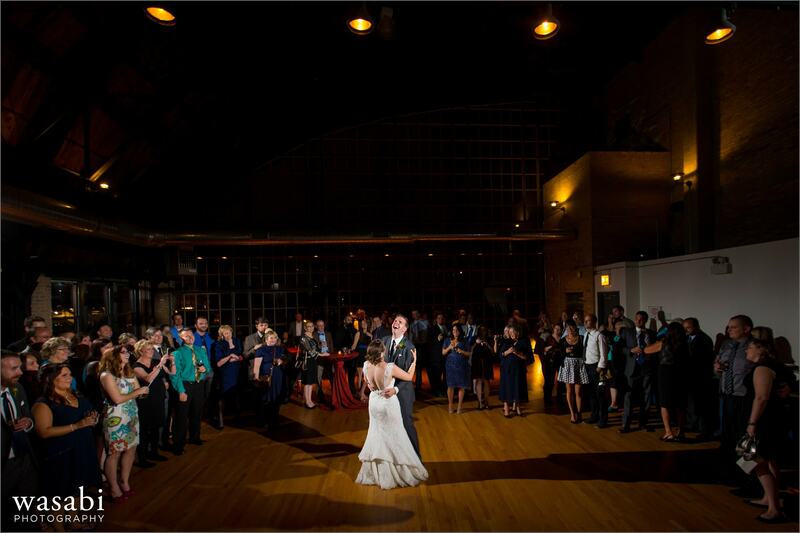 I just loved how the first dances looked in the massive space. 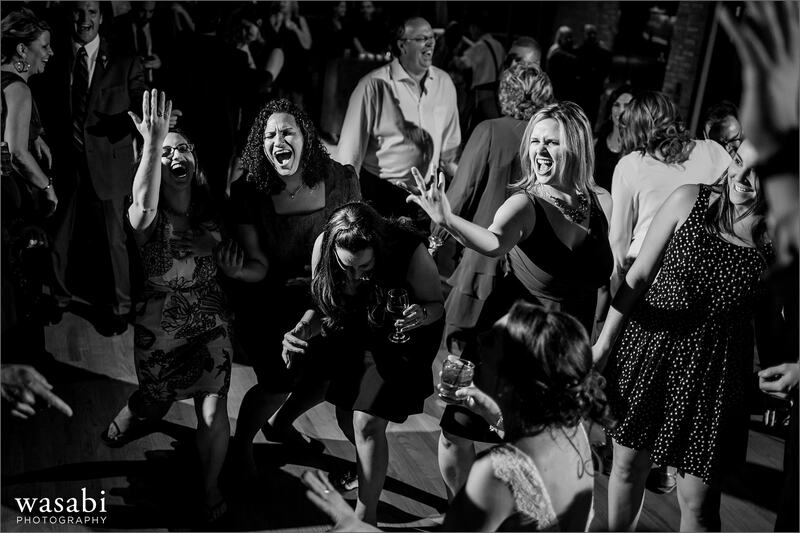 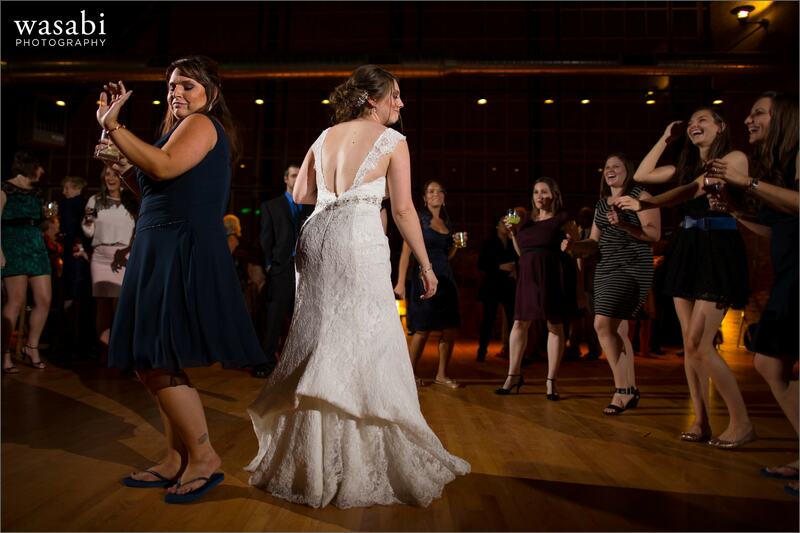 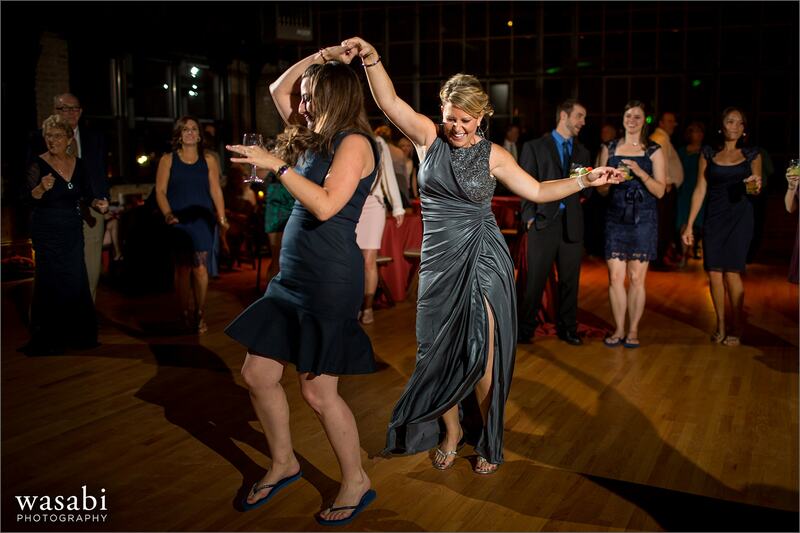 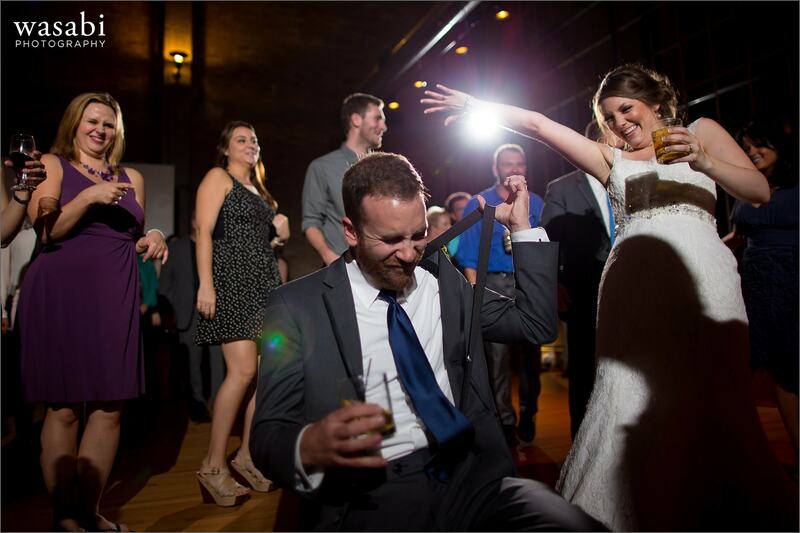 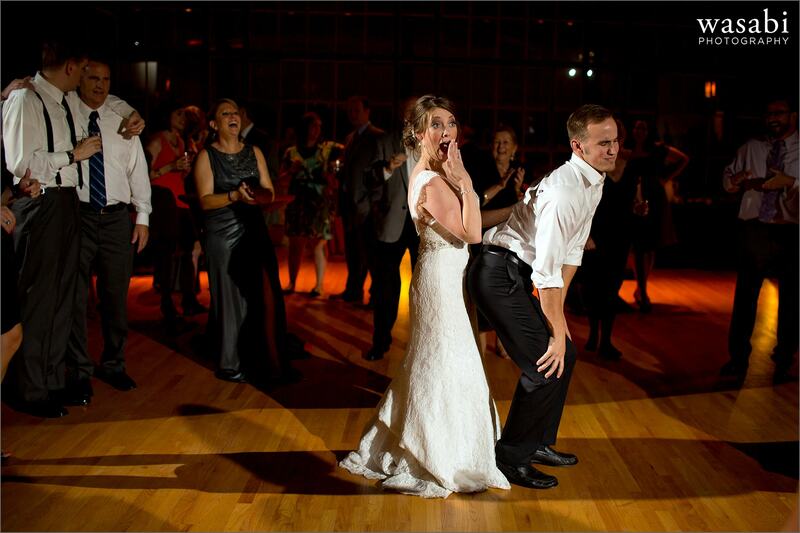 We also caught some hilarious moments on the dance floor. 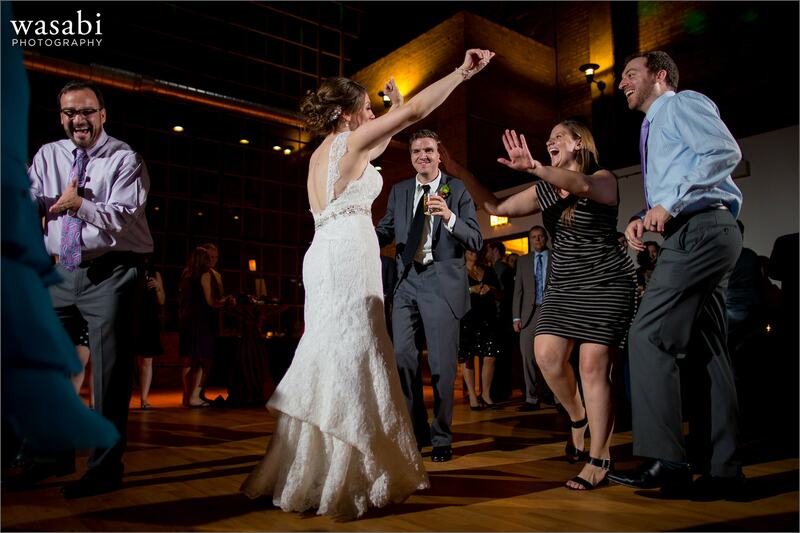 We had a great time working with Kelli & Ryan, thanks for throwing such a great party and letting us be part of your day!